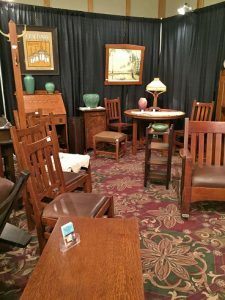 Phil Taylor Antiques is a leading business in the Midwest specializing in furniture and accessories from the Arts & Crafts movement. 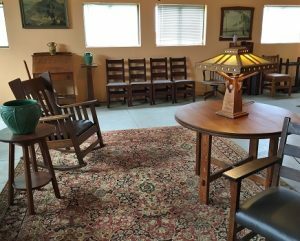 Our store carries original vintage antiques from companies including Gustav Stickley, L & JG Stickley, Roycroft, Limbert, Stickley Brothers and other manufacturers from that vibrant American era (1900 – 1925). 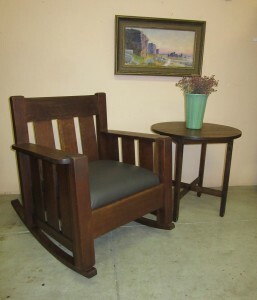 Check our website often for furniture updates. 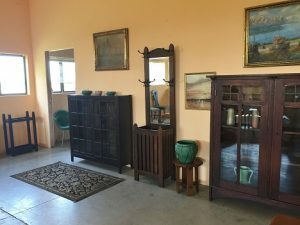 We are in our 35th year selling antiques. Our business began in northern California and the San Francisco Bay Area. We moved back to Iowa many years ago to be closer to family. 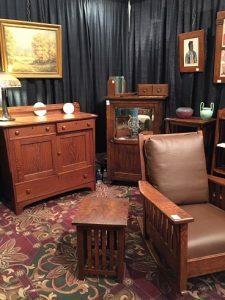 New, fine quality, reproduction Mission Oak Furniture is available through Phil Taylor Antiques. 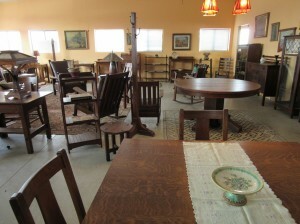 The furniture is made from quarter sawn white oak and is of excellent design and quality. We commission the work and Phil applies the finish. We invite you to visit our shop located in Ottumwa, Iowa. 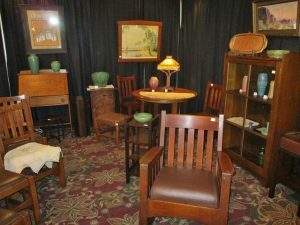 Look for us at local antique shows, including the Walnut, Iowa Antiques Show (June). 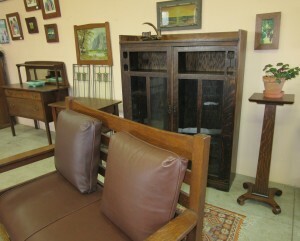 The pictures below were taken at our shop or at antique shows. 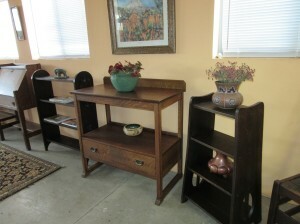 Please refer to our “Antiques” page for current inventory.